What will the world look like in the future? Will we retreat to floating homes and cities because of rising water levels? 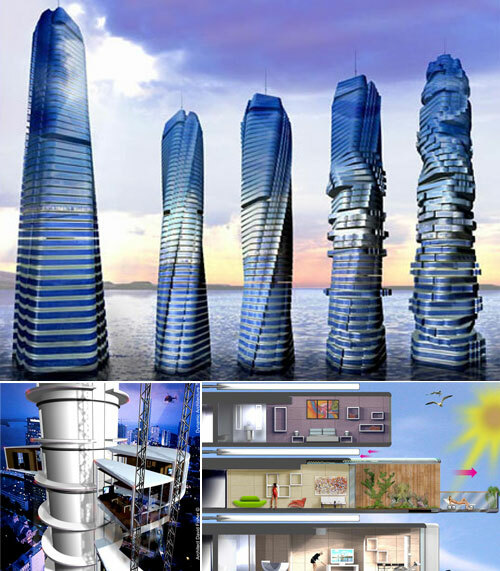 Will we live under the ground due to the polluted environment? Or we just simply go on as we are now? But one thing is for sure: As the world increasingly focuses on sustainable initiatives, green architecture is a booming industry. Everything from single-family residences to giant 1.2-million-square-foot complexes complete with giant skyscrapers is getting the green treatment, and the innovation that is going into these plans is more complex than ever. 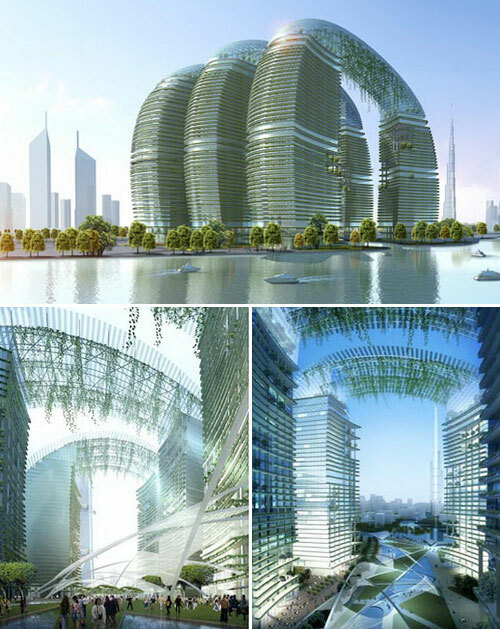 In this post, we will present you with 11 Futuristic Eco Building. I know some of them have no possibility of ever being constructed (at least for now). However, it is still a pleasure to see the forward-thinking behind those designs which the world has never seen before. 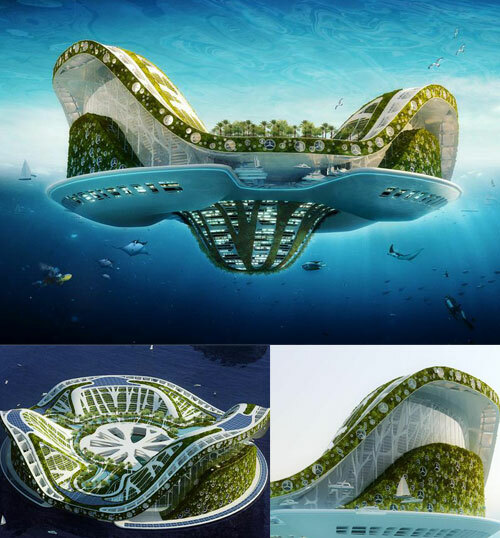 Designed for “ecological refugees” in the year 2100, the Lilypad is an amphibious, self-sufficient city. The design can accommodate 50,000 people along with the plants and animals they need to survive. The lower portion of the craft features a submerged lagoon which purifies rainwater to provide fresh water for the inhabitants of the Lilypad. 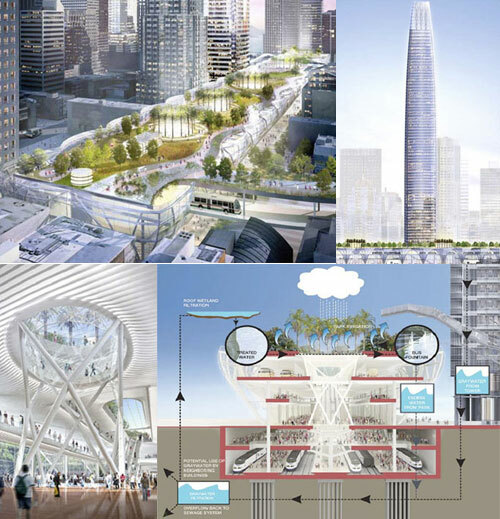 This project is still technically in the future, but it’s been given the green light by the Transbay Joint Powers Authority. This design features both a tall glass tower and a large transit center in the city’s downtown area. Both buildings will feature rainwater and graywater recycling, wind turbines and geothermal heating and cooling. But the truly stunning part of the project is the transit center. It will include a massive 5.4 acre green roof/park which will be fully accessible to the public. Magic Mountains is an urban design proposing a new “Green” Central Business District (GCBD). The GCBD district resembles the natural skyline of Chongqing, but with inhabited mountains. The mountain-peaks match the high density centres; the mountains lower reaches resemble traditional Chinese neighbourhoods. The valleys are green open spaces accommodating the “living machine” – a system treating wastewater and generating renewable energy. Park Gate, will consist of six mid-rise towers connected through soaring gardern canopies which were designed to ensure cooling and shade when the sun becomes unbearable. The Park Gate will have a total area of 4.7 million square-feet and like the other two projects, it was designed to be sustainable. 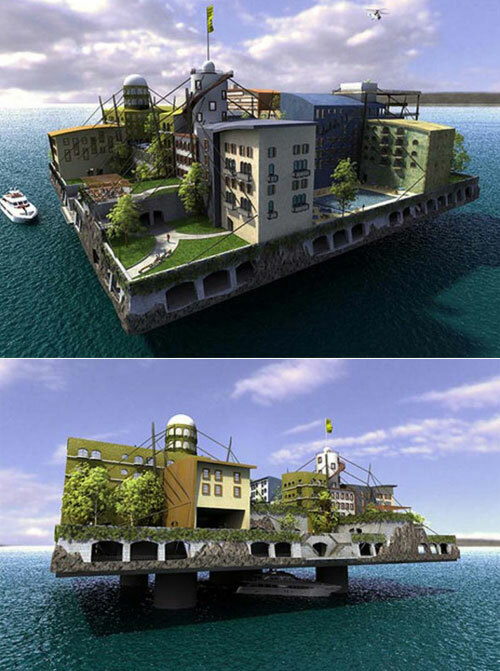 Swimming City concept from Andras Gyorfi took top prize in the first Seastead design contest. Featuring all of the amenities of home (and then some) the Swimming City is meant to be a luxury ocean resort, but it could easily become the model for sea-bound communities of the future. 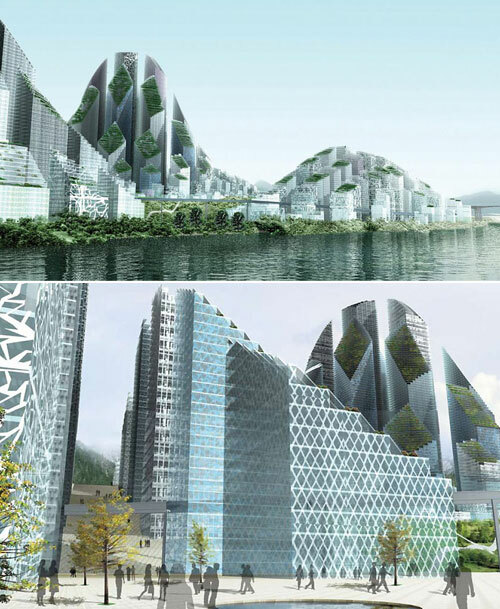 The mountain-like X-Seed 4000 represents a utopian eco-vision for a self-contained high-rise city in the Tokyo harbor – powered mainly by solar energy. Aesthetically inspired by nearby Mt. Fuji, the behemoth building would measure 13,123 feet tall with a 6 square-kilometer footprint, and could accommodate five hundred thousand to one million inhabitants. 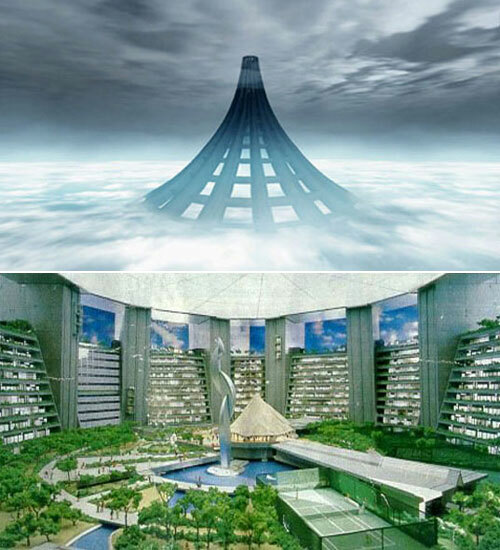 Unlike conventional skyscrapers, the X-Seed 4000 would be required to actively protect its occupants from considerable air pressure gradations and weather fluctuations along its massive elevation. Its design calls for the use of solar power to maintain internal environmental conditions. 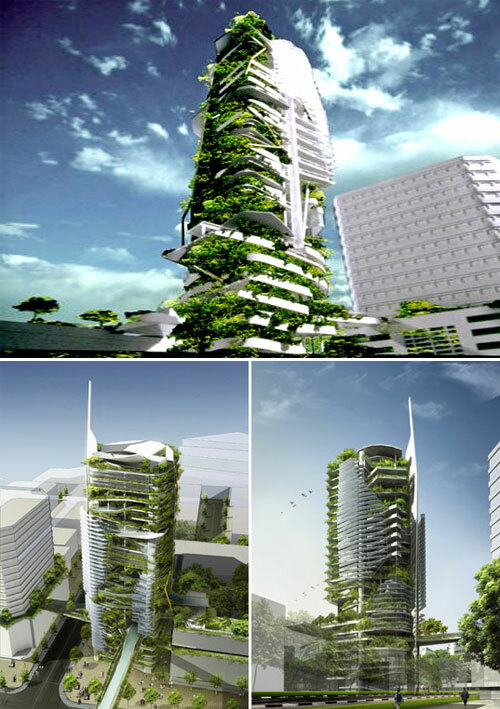 Currently pending construction in Singapore, the EDITT Tower will be a paragon of “Ecological Design In The Tropics”. Designed by TR Hamzah & Yeang and sponsored by the National University of Singapore, the 26-story high-rise will boast photovoltaic panels, natural ventilation, and a biogas generation plant all wrapped within an insulating living wall that covers half of its surface area. The verdant skyscraper was designed to increase its location’s bio-diversity and rehabilitate the local ecosystem in Singapore’s ‘zeroculture’ metropolis. 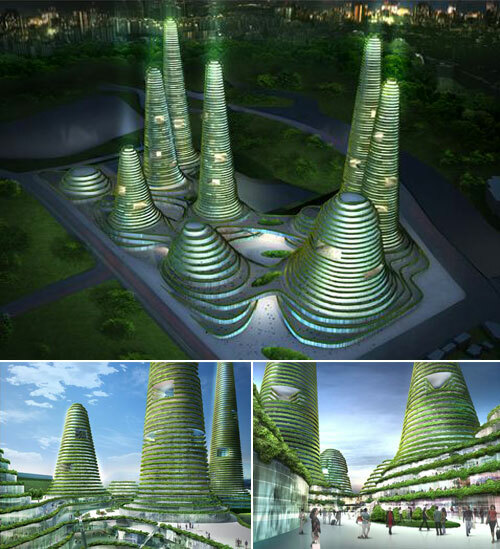 concept design for a dense city centre winner of the developers competition for the future new town of Gwanggyo, located 35km south of the Korean capital Seoul. The plan consists of a series of overgrown hill shaped buildings with great programmatic diversity, aiming for high urban density and encouragement of further developments around this so-called Power Centre, one of the envisioned two centres of the future new town. 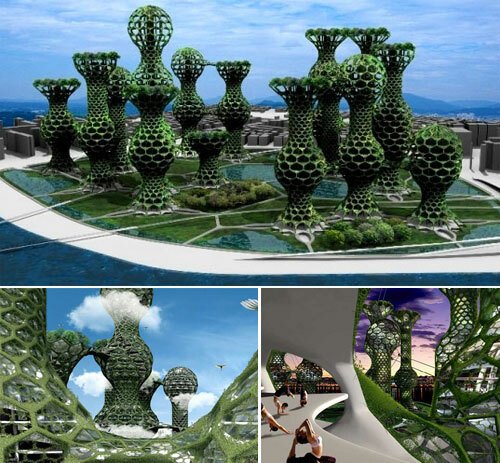 The towers’ organic shapes mimic plants, and with the help of a special geotextile the exterior of the towers would be covered in living, growing vines. The hexagonal openings on the towers would be covered with various types of glass, including photovoltaic glass to provide clean energy for residents. Habitat 2020 aims to be one of the leaders in bringing environmental initiatives to this growing country. The Habitat 2020 building will feature an active skin: a membrane between the exterior and interior walls that will absorb air, water and light from outside and dispatch it inside as clean filtered water, natural air conditioning and electricity. The same funnels on the membrane that pull these resources in will also emit clean, CO2-free air from inside the building. This urban megalopolis is set to be complete in 2020. The Rotating Tower would be built by stacking platters on a central concrete core with wind turbines located between each of them. 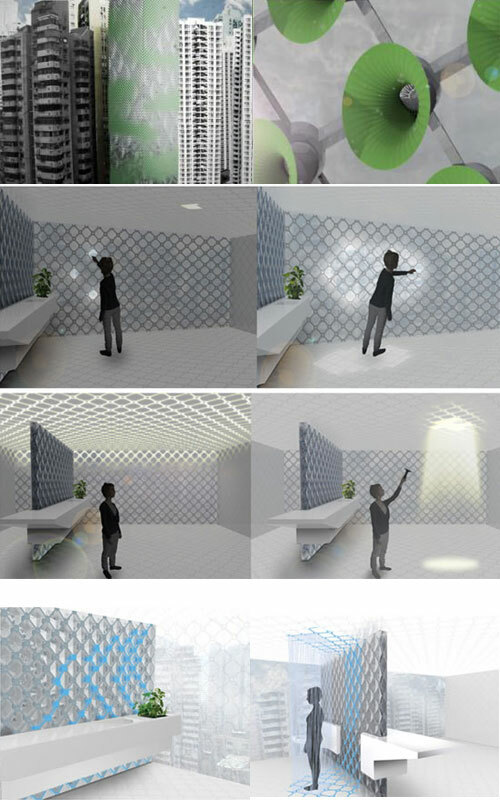 Each floor will rotate 360 degrees about once every 90 minutes; as the floors will rotate independently, they will create a constantly changing silhouette in the sky. Excellent site! I am loving it!! Will come back again, That article got me thinking. Wonderful writing style. Thanks for sharing your thoughts. Wonderful article. A great read. Thank you. Thanks for posting, wonderfull stuff! !